I have got created a list workflow in SharePoint Designer for a SharePoint Online Site Collection. Now I want to export this workflow and import it automatically to a new site collection during / after provisioning. I found a PnP-PowerShell Cmd to export and import workflows. The export works fine, but when I want to import the workflow, a exception is shown. Because of this interruption the workflow is published as "reusable" workflow instead of list workflow. Do you have any ideas to solve this issue? 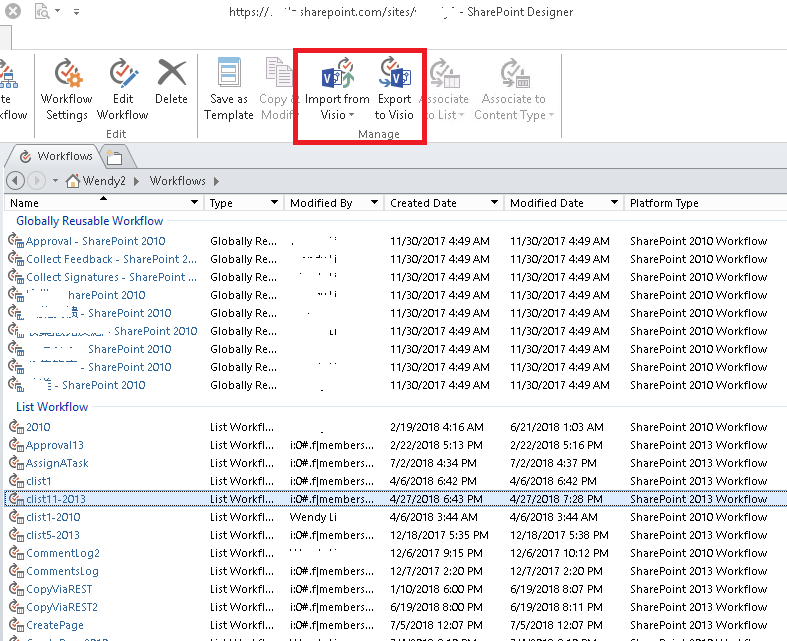 You could export and import the workflow by SharePoint designer like the picture below. Not the answer you're looking for? Browse other questions tagged sharepoint-online sharepoint-designer pnp-powershell pnp pnp-provision or ask your own question. How to Provision a list with data using SharePoint Online PnP C#?